Properties in Bellano Tartavalle Terme Station average 4.5 out of 5 stars. 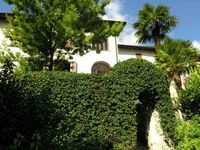 Summer Cristina comfortable property near Lake Lugano. 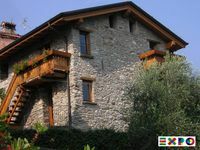 Property 7: Summer Cristina comfortable property near Lake Lugano. Little Bridge House - See 'REAL' Reviews of charming stays in history! Property 25: Little Bridge House - See 'REAL' Reviews of charming stays in history! Characteristic house of Como Lake: a timeless nook between earth and water. Property 31: Characteristic house of Como Lake: a timeless nook between earth and water. Sunny and peacefully situated house, near the centre of the village. Property 34: Sunny and peacefully situated house, near the centre of the village. A fantastic Lake Como retreat! Property 37: A fantastic Lake Como retreat! Super cool, clean, equipped and peaceful house with an amazing view, and a very hospitable owner. We enjoyed our stay , and we will repeat it in the future if times allow. Great place &amp; location coupled with Mauro&rsquo;s hospitality offset the one deficency (ie. the second bathroom being in the basement). Important to note that the house&rsquo;s location is a 10 minute hike from parking place if one is not mobile - otherwise this is more than offset by the house&rsquo;s charm, location and view of Lake Como and the surrounding terrain. We would come again!! !